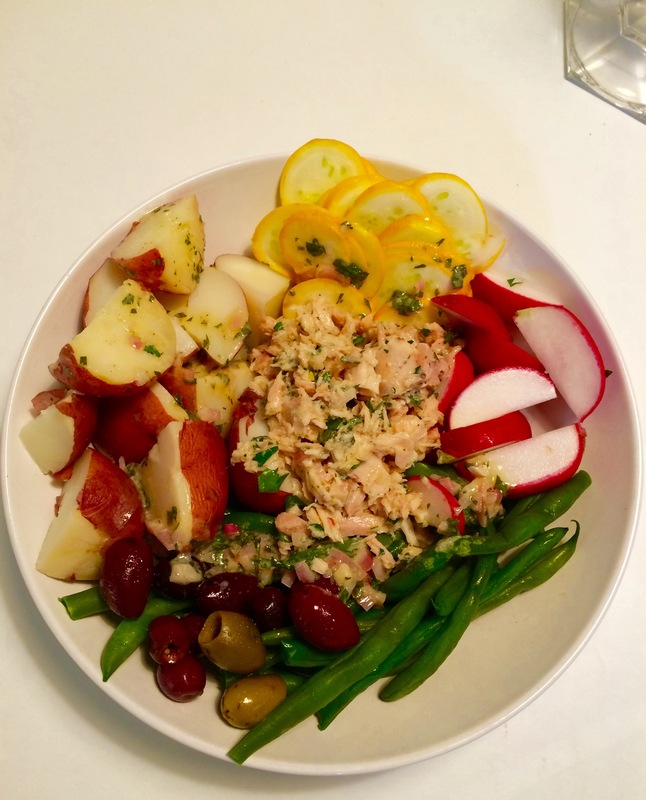 boil some potatoes, slice up radishes, boil some green beans, some sliced market zucchini, a few black olives and a can of tuna, cover with dressing made from fresh chopped parsley, thyme and rosemary, grainy mustard, wine vinegar, olive oil and a chopped shallot! EASY!! !